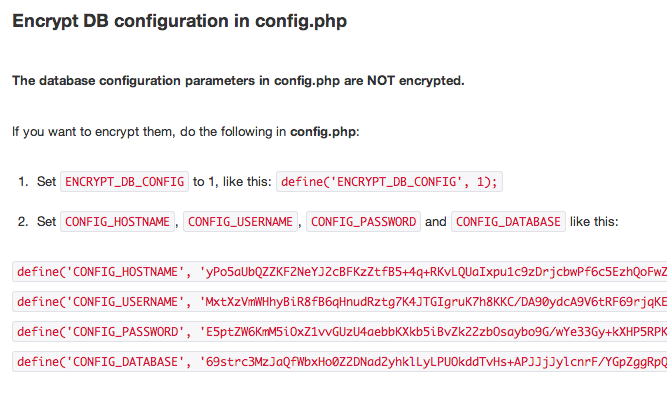 In this post we're writing about two features that will be available in the next release: password duplication and encryption of database parameters in config.php. 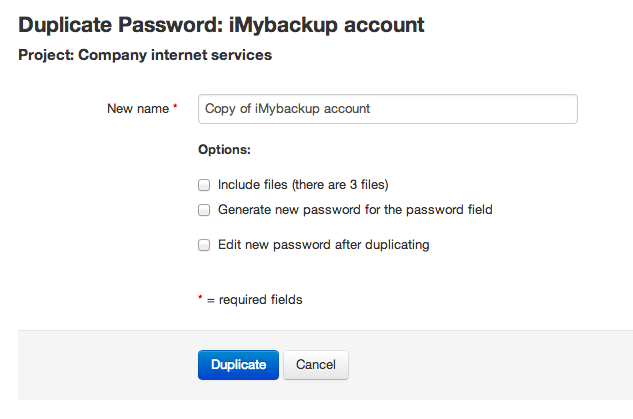 Two options are available when duplicating passwords: duplicate also its files, if the password has files, and generate a new password for the password field. If this last option is not selected the password field is simply copied like the other fields. There's also the option of directly editing the new password after duplication. These new features will be available in the next release of Team Password Manager. Stay tuned for more feature previews!